As an English major and culinary school grad, the idea of consommé both enchants and terrifies me. In stacks of novels, elegant ladies sup on consommé served in fragile bone china bowls before traipsing across polished floors to wilt onto fainting couches. 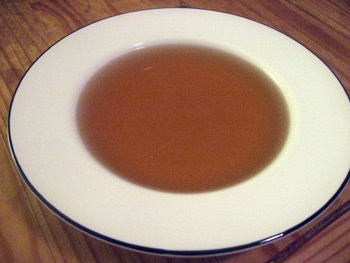 And because the ideal consommé contains nothing other than exquisitely clear and sublimely seasoned liquid (possibly served with equally exquisite garnishes, like airy quenelles or tiny raviolini) it's basically the most refined soup ever. That's my romantic ideal of consommé. And it's one which jockeys impossibly with the complex reality handed to me in culinary school. There was so much emphasis on breaking (yet not breaking) the clarifying "raft," the insistence on never allowing the stock to boil, and the overwhelming feeling that if you looked cross-eyed at your consommé you'd ruin it. As a result, during those nine sweaty months, I both longed for and dreaded making this genteel dish. 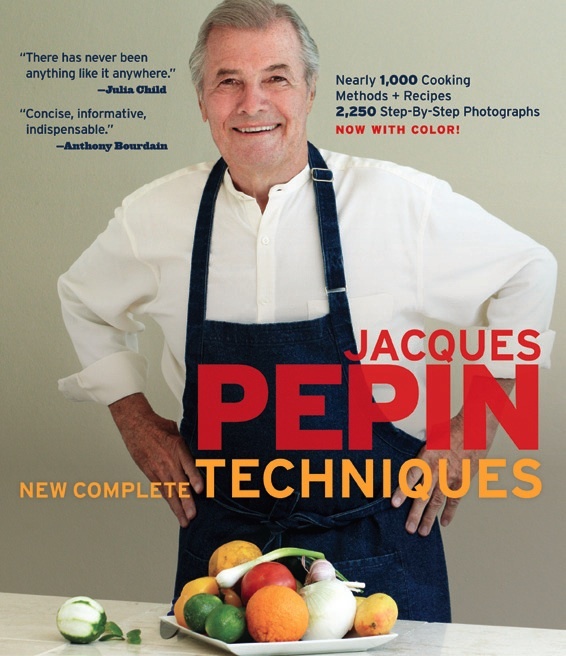 Enter Jacques Pépin Complete New Techniques, which, weighing in at close to six pounds, is a serious book for serious cooks. 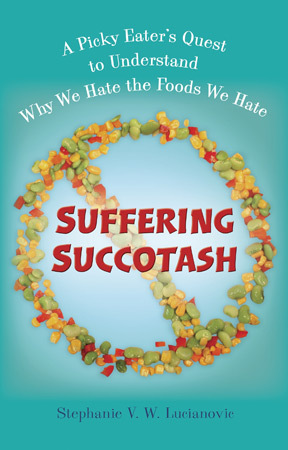 This hefty addition to my bookshelf (courtesy a review copy from my editor at KQED's Bay Area Bites) is Jacques' latest culinary tome. It's an updated version of his 2001 Complete Techniques, which was itself a compilation of La Technique (1976) and La Methode (1979), and it's admittedly one that filled me with skepticism. Being more of a hands-on person when it comes to learning, I didn't think I could truly learn techniques from the pages of a book -- even one from a culinary master such as Jacques Pépin. The burnished amber liquid now resting in my refrigerator is proof that I am wrong. First of all, the recipe and technique for consommé is found in the book's "The Basics" section, which gave me the extra fillip I needed to attempt it. Having it there was as if Jacques was telling me, "See, it's basic, you can make the elegant soup of your literary dreams, Stephanie, I believe in you!" Secondly, it really is a "throw everything in the pot, stir, bring to a boil and wait" sort of recipe, which was unexpected. It's true that dealing with the raft -- the flotsam that forms during the cooking process -- is slightly tricky, but not nearly as painstaking as I thought it would be, especially since you ladle all the consommé through a dampened cheese cloth-lined sieve for additional straining. As to how it tasted, well, it was delicate but not bland. Full of flavor, but not overpowering. It was all I dreamed of and more. A few notes: the recipe called for "diced celery leaves," but not knowing how to dice leaves, I went for a rough chop. Also, in their efforts to be helpful, more and more grocery stores are selling their celery already topped (without the leaves) and giving us only the hearts. I scrounged up just enough for this recipe, but be forewarned. I'm was so bolstered by my consommé success that I actually considered diving into the book's Presentation section and flicking out a few consommé-worthy garnishes with my paring knife, like the fluted mushrooms or carrot butterflies. 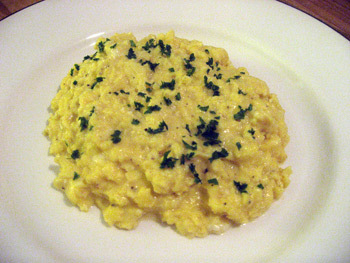 However, I controlled myself and moved on to another technique-driven recipe: scrambled eggs. Unlike my consommé foray, I know how to make scrambled eggs, and my usual way of making them is using a wooden spoon to scrape the beaten eggs and milk in a butter-slicked skillet over moderate heat. I will be honest and admit right off that I do like my way, which yields a significantly larger curd and a far less soft and creamy texture, but I still decided to try Jacques' essentially French method. The most surprising part of the technique was not using a whisk to keep the curd small, nor was it adding 1/4 cup raw beaten egg and the cream at the end, it was replacing my low-sided skillet with a saucepan. This has the effect of holding in the heat when the raw egg is added off the burner, which, in turn keeps the mixture creamy. I quite like Jacques' technique of making scrambled eggs and can definitely see myself using it when I want a fancier breakfast, a soothing solitary dinner, or have a spare white truffle lying around. (No way I'd waste that sucker on my version of scrambled eggs.) But I'll probably go back to breaking out my skillet and wooden spoon on the days I have my three-year-old tearing through the kitchen bellowing about trains and LEGO. That said, I'm making the consommé in bulk and freezing it for those emergency nights I need to dine like a Lady.